Go back in time with the K'Nex Infinite Journey Roller Coaster Building Set. The slingshot launcher sends the coaster car up the hill and spiralling through the track. 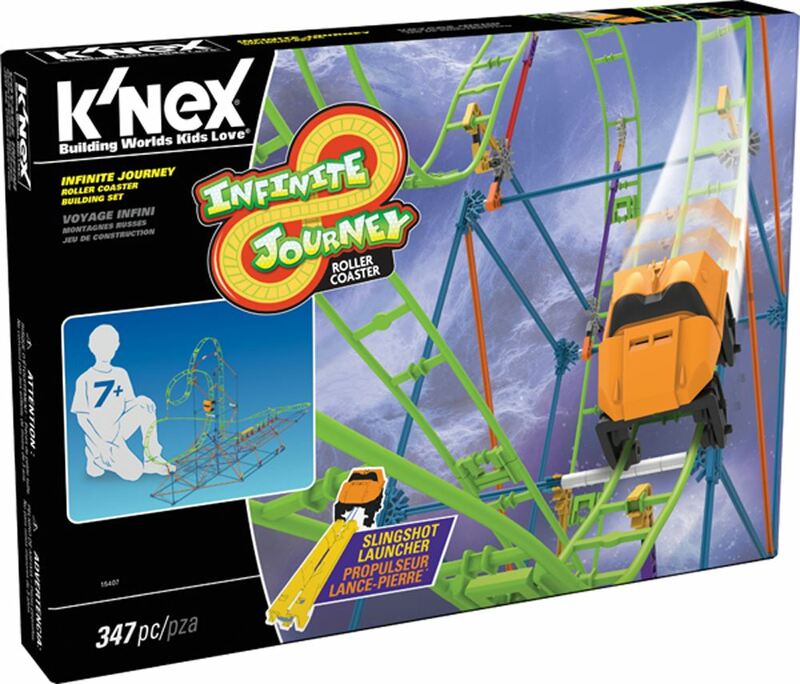 Includes: 347 K'Nex parts (primarily rods and connectors), a battery powered motor and easy to follow instructions. Requires 2 x AA batteries (not included). Collect the Revolution Ferris Wheel and Clock Work Roller Coaster building sets (each sold separately) to create your very own working amusement park. Part of the Thrill Rides range. Age 7 + years. Distributed in New Zealand by Holdson.